POWER: Politics | Cover Story | Style Weekly - Richmond, VA local news, arts, and events. With the formal powers that come with the mayor's office, Stoney can only rise as he gets another year of experience under his belt. Who's there to challenge him, anyway? Not a shriveling and hapless City Council that seems to be all bluster, no bite. Who has time to form alliances? Council members have their own districts to deal with! School Board? It barely holds power over its own domain. Stoney won his meals-tax increase while keeping the cigarette tax at bay, watched his budget sail through, shuffled the deck the way he wanted and declared during his State of the City address in January that this was "the fastest and best year of my life." Some wonder about putting words into action. We got a Monument Avenue report, but what's next? And where are we with that Redskins negotiation? Schools? Ballpark? Anti-poverty efforts? Any legislation on the way? His youthful presence helps him spread the positive energy and flesh-press into the continual campaign that all politicians must keep alive to survive. 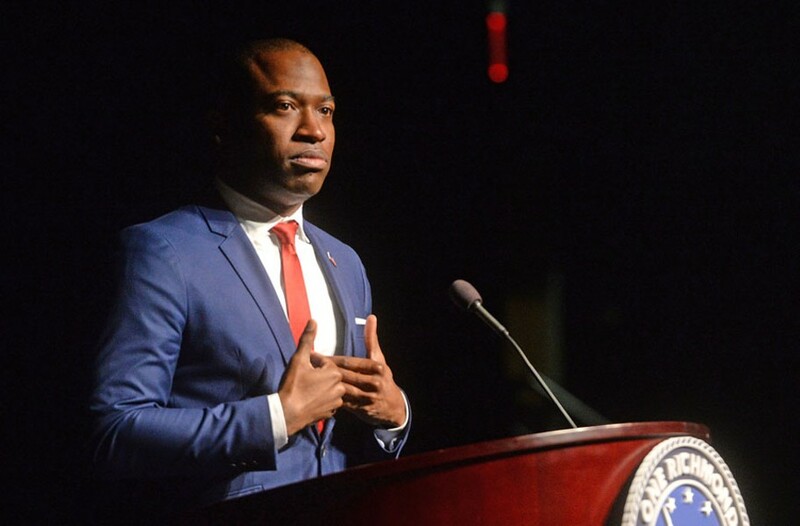 Speaking of the campaign, his Stepping Stoney nickname has carried over among some circles who disagree with his stands and are skeptical of his outsider credentials, One Richmond political-action committee, state-level advisers, and what one City Hall observer calls his "mayor whisperer," Lincoln Saunders — another early-30-something who serves as Stoney's chief of staff. And if the duo keeps a close watch on approval ratings and daydreams of heady times ahead, it's understandable. Maybe Stoney will wait his turn at state-level politics and run for a second term as mayor. It could be a good strategy to prove the stepping-stone critics wrong, play nice with state Democrats and gather steam for a big leap. Or maybe he's itching to move on. One big turning point ahead: the $1.4 billion proposal to bring a new coliseum, hotel, housing and mixed-use development to the sagging 10-block area behind City Hall. All eyes are on how Stoney navigates local pressure and power both for and against — and how far he will go to align with the project's architect, Tom Farrell. Regional cooperation may never be fully realized in the Richmond area. But plans, dreams and that pesky Dillon Rule aside, local leaders work together and geography draws us close. The health of the city is intertwined with the surrounding counties. And Henrico is truly close, wrapping around the city to the west, north and east. So it matters what Henrico does, and where it focuses its attention and resources. 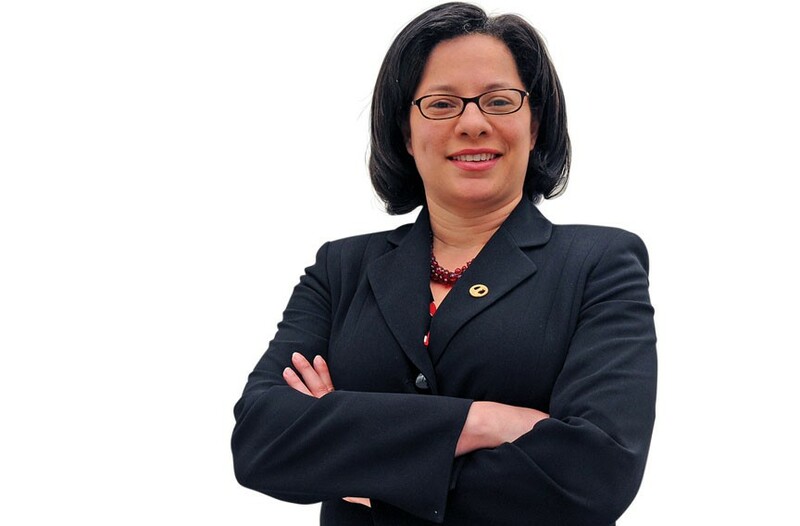 County Manager Vithoulkas guides those big decisions, even as one new county supervisor, Courtney Lynch — who had the backing of Richmond Mayor Levar Stoney — pushed back on the administrator's dominance before resigning her position in June. 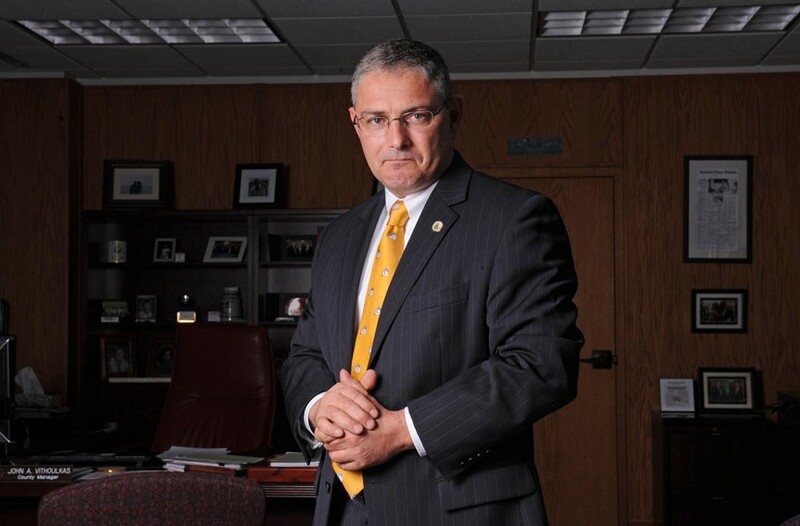 Vithoulkas serves as a de facto dean of the county administrators, as one political analyst puts it. He's been with Henrico more than 20 years and served as manager for five, navigating the county through tremendous change. Recently he led the way for a huge public transit expansion, pushed for a big indoor sports center and cut business taxes. And oh yeah, there's that $1 billion Facebook data center the county landed. And as the Henrico Citizen notes, "for the 40th consecutive year, the county's real estate tax will not increase." The General Assembly convenes a special session this week, called by the governor to deal with a decision from the U.S. District Court for the Eastern District of Virginia that some election districts in the state were drawn with race as a predominant factor — including in the Richmond area. Did Northam have to do it? Some Republicans say the session could have waited — that an appeal is underway and more time is needed. "Drawing a map that can withstand legal scrutiny is neither a quick nor simple process," the Washington Post quoted House Speaker Kirk Cox, a Republican, as saying. 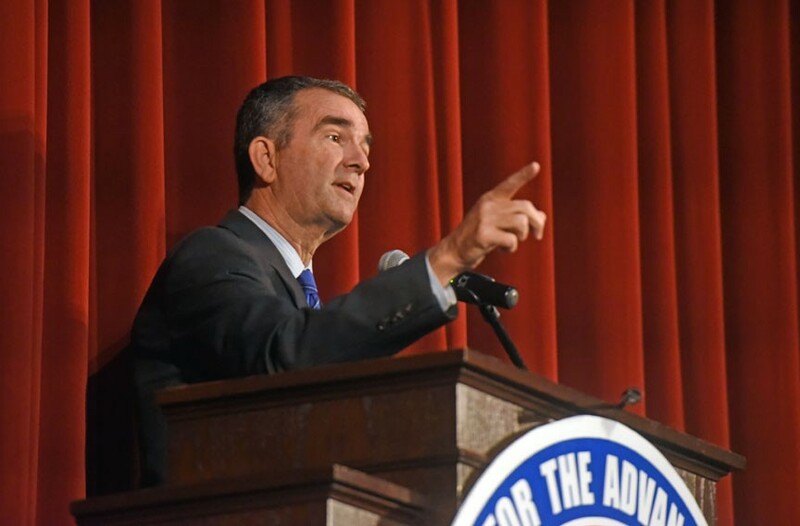 But Northam, a Democrat in his eighth month as governor, seems to relish opportunities to get the political parties working together when needed. This was on full display with his Medicaid expansion victory in May, which had been debated for years. Northam, a pediatric neurologist with a low-key demeanor, is no Republican Robert McDonnell or Democrat Terry McAuliffe, barreling through their terms with big personalities and obvious aspirations for higher office. Northam served as lieutenant governor, but it's unclear what he aims to do with this term and how he will leverage it next. But it's still early. And there's a big test ahead: how to navigate the dicey politics of Dominion Energy's controversial Atlantic Coast Pipeline. Here he comes again, folksy-ing it up in those easygoing television ads while he runs for his second term as a U.S. senator. When will he pull out his harmonica? Or maybe a better question, why run the ads at all? He seems like a shoe-in against Republican Corey Stewart, chairman of the Prince William County Board of Supervisors, whose antics, controversial associations and questionable ties have kept some fellow Republicans at arm's length. Then again, you can't assume anything — something Kaine knows well after his vice-presidential loss alongside Hillary Clinton in 2016. 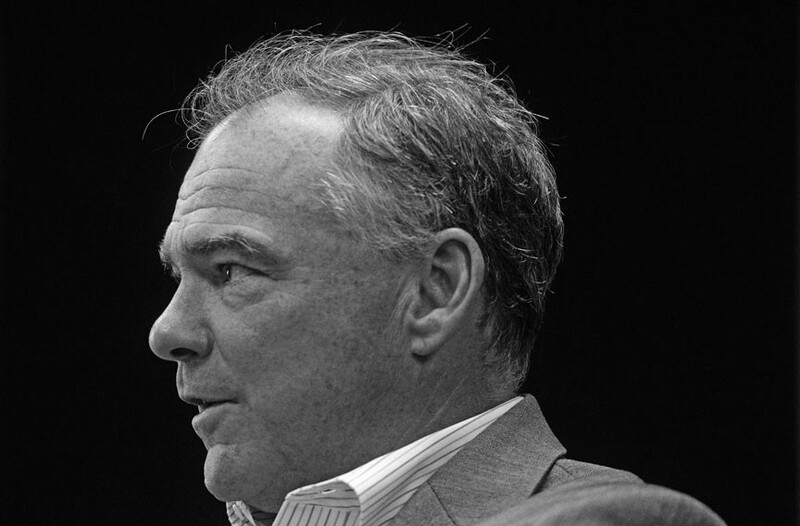 Kaine isn't making the same kinds of news as he did during that run, or compared with his Virginia colleague in the U.S. Senate, Mark Warner, whose high profile as vice chairman of the Senate Intelligence Committee has kept him in the headlines. 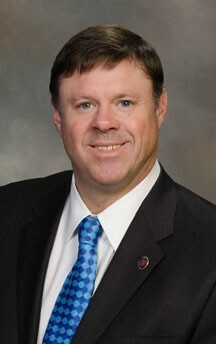 The lawyer is a Hanover County native who's risen to a leadership position in the Republican-majority Virginia Senate. He spent four years in the House of Delegates before taking office as a senator, a position he's held for a dozen years. Now McDougle serves as chairman of the Senate Rules Committee, holds nice committee assignments, controls the Republican caucus and serves in the 4th District, relatively safe from Democratic challengers. But he didn't get his way when it came to Medicaid expansion. Soon after Gov. Ralph Northam took office, McDougle argued against expansion in a Richmond Times-Dispatch op-ed piece. He wrote that the number of enrollees had been underestimated in other states, busted budgets and "could have been a 'contributing factor' to the increase in the nation's opioid crisis." Expansion may have passed, but McDougle remains a foil to the governor and a voice for Republicans. He seems to be keeping his constituents happy, and continues to pull in donations from the likes of Altria, Dominion Energy, the Virginia Trial Lawyers Association and the associations that cover Virginia wine and beer wholesalers, according to records with the Virginia Public Access Project. And last month, he picked up a senator of the year award from the Fredericksburg Regional Chamber of Commerce. With three decades of government experience, the city's chief administrative officer landed her position for Mayor Dwight Jones in 2015 during his second term. She stayed in the role with Mayor Levar Stoney's arrival, running day-to-day operations. 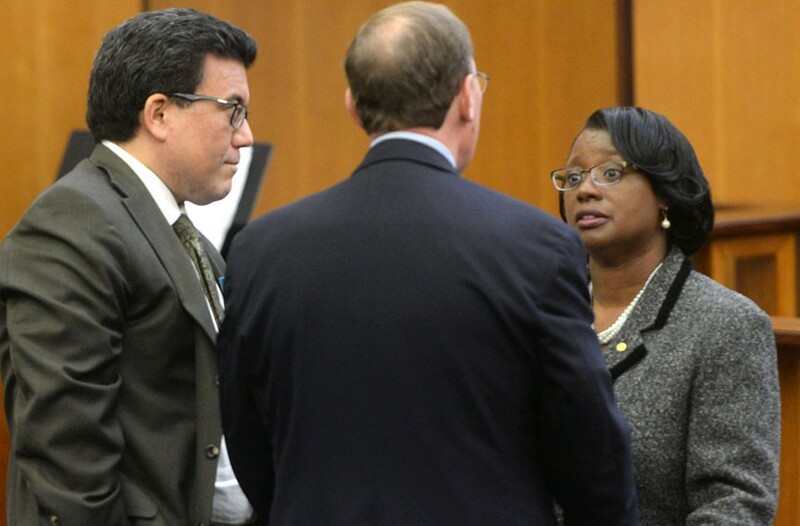 Cuffee-Glenn moved here from Suffolk — where she was city manager for seven years — and walked into a City Hall filled with leadership turnover and financial messes. She worked with the finance director to complete the city's comprehensive annual financial report, getting the filing to the state more than 10 months late. It was the third consecutive year of tardiness. There's been improvement, though City Hall's financial house hardly is in order. And City Council encouraged longtime city auditor Umesh Dalal to resign amid complaints about his management style. He did, got a huge severance and picked up a job as city auditor for Denton, Texas. His replacement is Lou Lassiter, who started Feb. 1. We'll see if council members take advantage of Lassiter's insight. For now, they complain the quality and availability of information they get. At least every now and then the city uncovers a few million it didn't seem to know it had — the latest was an extra $6.9 million for schools, after going back a few years to reconcile accounts. City Council had no problem finding a couple of million dollars to fund the mayor's capital budget in April. It simply pulled $2.15 million, more than two-thirds, from the public art fund. CuffeeGlenn offered up even more, a City Hall insider says. If information is power, it's in Cuffee-Glenn's hands, along with the city's department heads and a line to the mayor. When Mayor Levar Stoney gave his election-night acceptance speech to a packed Wong Gonzalez restaurant, McClellan stood with his advisers and closest supporters, having backed the winning candidate from a crowded field. McClellan sits at an interesting intersection of Democratic politics, with close city ties on the one end and Tim Kaine on the other — true, the U.S. senator, but also the person who officiated at her wedding. Her guy didn't become vice president, but he remains a powerful senator and friend. Such a wide political wingspan, from City Hall to Capitol Hill, helps lift her in the political arena, and makes her someone that political analysts say is well-thought-of and assumed to be headed for higher office — playing the long game. McClellan, a corporate lawyer for Verizon Communications, also embodies a warmth, political civility and willingness to cross the aisle. She and Delegate Chris Peace, a Republican, like to speak of each other as friends, appearing together and even co-authoring an editorial in November. They were both elected to the House of Delegates in 2006. And in January 2017, McClellan took office as senator for the very-Democratic 9th District, left open by Donald McEachin, who was elected to the U.S. Congress.